or do you fancy just having a go? 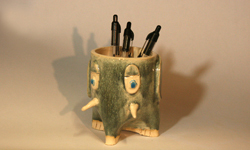 Ceramics is a wonderful way of exploring your creativity or just relaxing while making lovely pottery. The first decision is whether to do throwing or handbuilding. 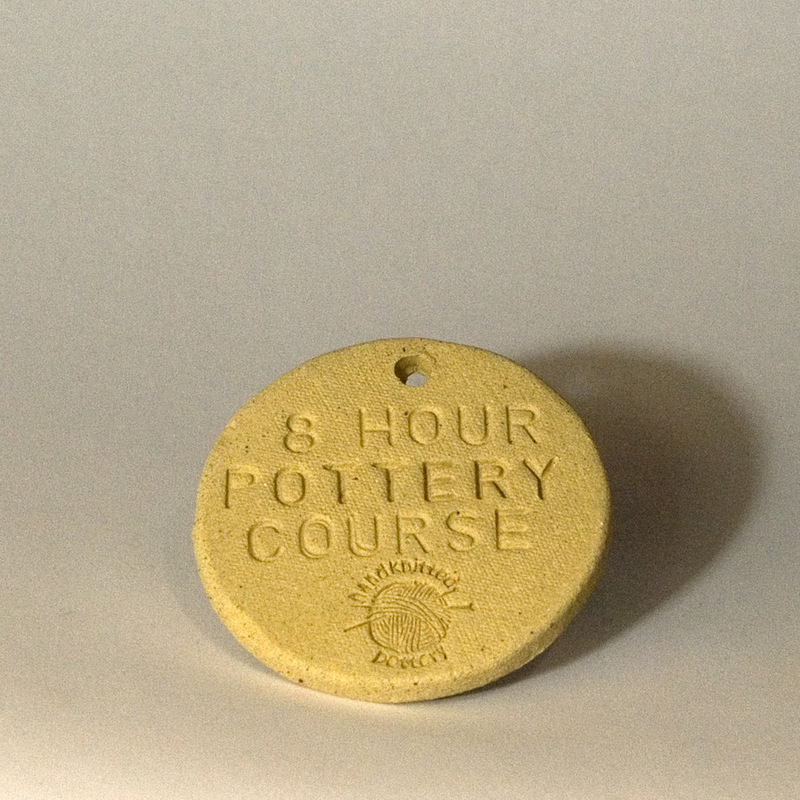 Lessons and courses can be bought for you or as a gift - Hugh has little clay discs that can be posted out wit ha paper voucher if buying as a gift. 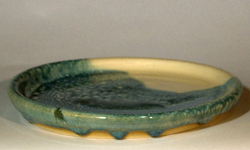 Throwing on the wheel is almost mesmerising - your pot magically appears in front of you! 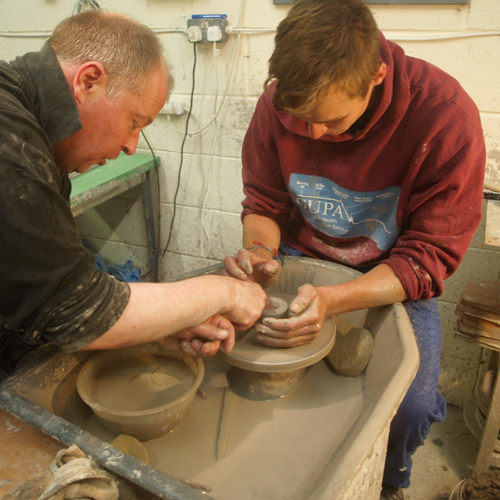 Of course it takes a lot of practice to perfect, but Hugh will get you throwing small bowls on your first go. 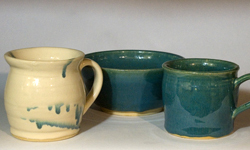 Once you have learnt the techniques, making pottery is incredibly fast on the wheel and it's really the only way to get perfectly round handmade pieces. 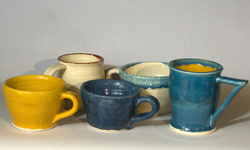 Throwing really needs to be taught individually or in very small groups. Please note that Hugh only teaches throwing to adults and children 14 and over. This is everything not done on the wheel, for example pinch pots, slab pots, coil pots etc. The nice thing about handbuilding is that everyone can make something straight away. Handbuilding is also suitable for a group, and for younger children. In the studio the extruder can be used to make perfect coils in no time. No more rolling your own uneven coils! One, 1.5 or two hours recommended for a 'taster'. Four or eight hours suggested as a course. Note that the 4 hour and 8 hour courses are not in one go! Usually we do 1.5 or 2 hour lessons. 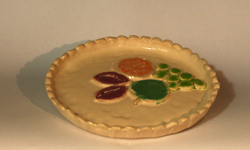 All lessons include materials and kiln firings. If there are more than two people wanting individual lessons in throwing (e.g. a group of three) this can be arranged with some notice - an assistant can do handbuilding with you while I teach on the wheel and this way everyone can do some handbuilding and some throwing. Additional £40/hour for the next two participants, i.e. one or two people: £40/hr total, three or four people: £80/hr total. The group classes are always on weekday evenings. and 4-hr and 8-hr courses - give one as a unique present! Hugh also teaches handbuilding outside the studio, for example in community centres. The group size in outside locations can be much larger. Contact me here to book or discuss your requirements. Other lessons, e.g. a one-off for a group, may be possible. Copyright © 2015. 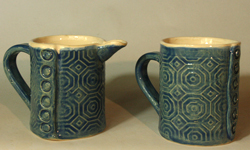 Hugh Penney of Handknitted Pottery.